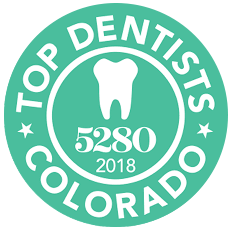 At Barron Family Dental, we help patients in Thornton, CO, improve their appearance and boost their confidence by using clear braces to achieve straighter teeth! While there are several different options for teeth straightening, clear braces offer a real advantage for patients. Getting straighter teeth doesn’t mean you have to wear noticeable metal brackets and wires. Today’s clear braces use the same effective teeth-straightening procedure, but with clear or natural tooth-colored materials, so they don’t detract from your smile! 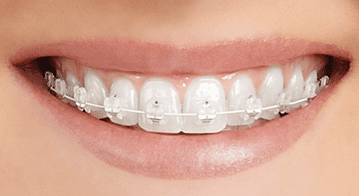 Clear braces use small ceramic or hard, clear plastic brackets on the teeth connected by thin arch wire. Clear braces are one of the preferred approaches to gradually move teeth to their more ideal position. The thin wires that attach to the bracket can also be clear or tooth-colored, so they are less noticeable. The team at Barron Family Dental understands the desire for a more attractive smile and works with each patient to determine the best teeth-straightening solution. Clear braces are ideal for adults looking for a discrete solution for straighter teeth. Because clear braces blend in with your natural tooth enamel, patients feel more comfortable eating, speaking, and smiling. Clear braces are less obtrusive making them far less noticeable than traditional metal braces. The clear brace system uses the most efficient way for straightening teeth. Clear braces can be used for a range of situations including correctly aligning teeth, re-aligning the bite, and helping to correct jaw problems. Clear braces help patients achieve a straighter smile while feeling more confident! As with all braces, it’s important to maintain regular brushing and flossing including after every meal. Because food and drinks can get lodged in the braces or under the wires, diligent oral hygiene is important to avoid discoloration of the braces or staining on the teeth. Are you trying to determine if you need clear braces or which brace option to choose? Barron Family Dental can help you determine the ideal solution that will deliver the fastest results for the best smile! From kids to seniors, we love seeing the whole family smile. Learn more about our compassionate approach to family dentistry. Invisalign is the virtually invisible alternative to braces. Learn more about how you can correct your smile with invisalign!